This flavour inspired by the french baked delicacy packs a fantastic aroma of freshly baked goods, almonds, and coconut. 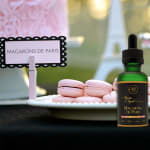 With a creamy and rich flavour profile, Macarons de Paris is a winner that will help you see la vie en rose. French pastries have always been celebrated for their excellence, and there is a now a juice inspired by that same tradition of distinction. And, like the original, our Macarons de Paris flavor continues that heritage with the baked delicacy of almonds and coconut. 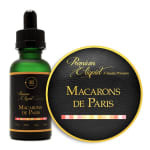 With a rich and creamy flavor and enduring aroma, Macarons de Paris is truly a taste of la vie en rose. Crafted from a blend of 50% VG and 50% PG, this juice will satisfy throat hit and cloud chasers alike, and mixes great with our Blue Star Tobacco, or Deez Peanuts. So find a table at the café and relax in the lap of luxury! It tastes like stale microwaved popcorn to me. I don’t get a macaron taste at all, which is so disappointing as they’re my favourite treat. I’ve tried it over and over again, always disappoints me. I don’t know why I don’t love it, I wish I did. Currently mixing it with the Strawberry Milk juice to cut the flavour. I was expecting a lot more "macroon" flavour from this. Macaroons are hard to replicate because theyre very delicate but this does an alright job. Probably one of the closest ones Ive had to an actual macaroon flavour but lacks the coconut aftertaste. I love this mix. Got it with the 3mg nicotine, I don't even know what it reminds me of, hard to describe. But I love it, it's very delicious and I will definitely buy more. Wish it was sold in larger bottles, like in 60ml or 120ml. Can’t get enough of this! So tasty! Works great in small pen vapes, and the flavour is just excellent! This flavour takes me to france and back. Wonderful coconut cookie flavour! Put this into my RTA. A little too thin (had a bit of leakage) but the flavour was intense! Macarons and Blue Star are my favourite juices from 180!!! Rich and sophisticated. One of my favs! I definitely get a hit of amaretto in this. A very grown up flavour. I wouldn’t vape this all the time, but it’s great after a big meal. Very satisfying. Super good! A bit of throat hit but really taste like macaroons on th exhale. At first it taste like butter and didn't smell the best. But let it steep and WOW! Sweet sweet caramel flavour! If you love coconut like I do, then this is the perfect juice for you! Reminds me of coconut cream pie and amaretto. I'll definitely be buying more of this. So I'm a complete newbie to vaping and bought a 30ml of this with my first ever ecig. It was the first liquid I've vaped and I think I spoiled myself. I've since bought samplers from 3 other vendors and this flavour is still my top! This is absolutely amazing! Superb flavour and thickness. I am in total heaven! My absolute new favourite!! I've been to Parisand wow! this flavour takes me back to one of my mosdt favourite vacations. Its delicious blend of baked goods really makes for a nice relaxing vape. What I really noticed was that this flavour was made for mixing. It makes an excellent base for a little bit of sweeter e-liquid. Be CAREFUL though, it is easily overpowered by oither flavours, so I usually use a 3/4 Macaroon, and 1/4 other. 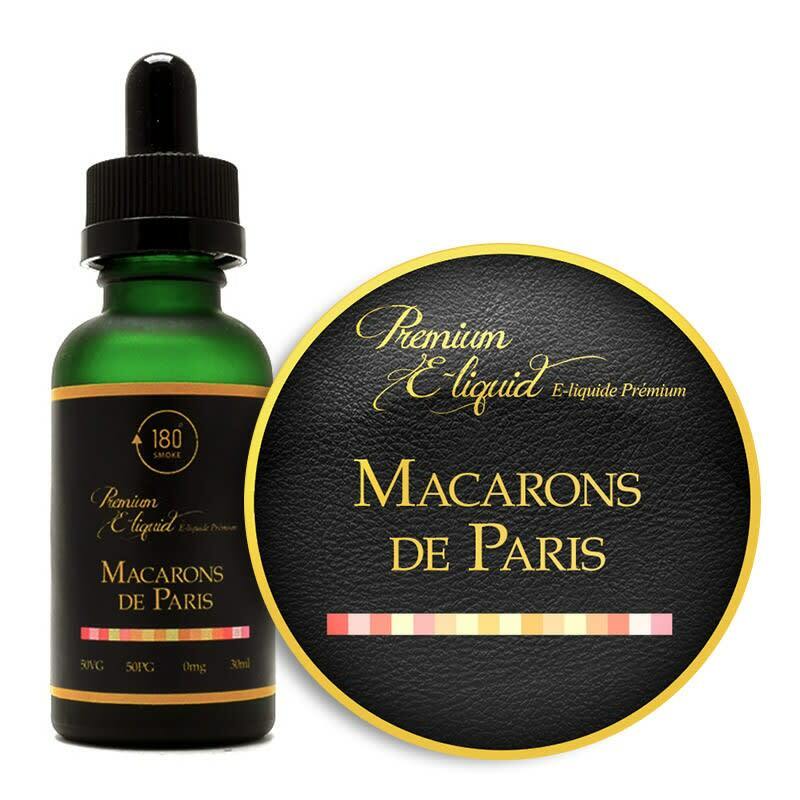 Make your own Macaroon Flavours! This is a delicious blend of bakery flavours! TO be honest I couldn't handle to much of it because I have a bit of a sweet tooth, but then I mixed it with caramel mocha...and OMG, that was it, favorite combination ever. Think caramel chocolate macaroons with just a slight hint of coffee. 180 Smoke has done it with this new line of flavours...Best e-liquid in Toronto!